ensure that it’s effective and positively adding to your condo community, rather than becoming a potentially stinky hassle. The City of Calgary has slated November 1, 2017 as the deadline for multi-family complexes to have a compost or waste diversion program in place. Over the next five months, you’re condo building must source a program that works for the size of your building. However, if they do not, you, as a responsible unit owner, can fill out a service request form for the city to speak with your building owner / manager. Of course, like any new program, condo boards should give residents plenty of time to adjust to the new composting rules. After all, your residents most likely just had to get used to the blue cart recycling program, so give them time to start incorporating new composting habits. A list of recommended scrap containers, such as large yogurt or ice cream containers for residents to have in their kitchens. Alternatively, you can provide small food scrap pails to residents at a discounted price. Updates as to when the program will be officially implemented, where the bins are located, how much food scraps and yard waste your building has saved to date, and so on. 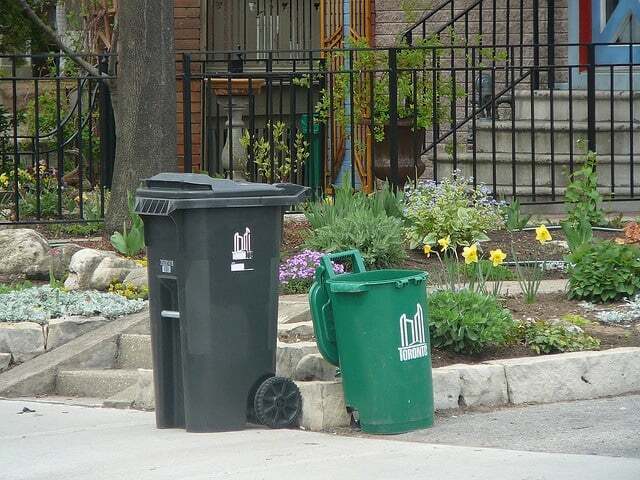 The point is that the easier you make green bin implementation for your residents, the easier it will be to incorporate green bins into your building. Since no two condo buildings are alike, it is important that your condo board source a contractor who will support the needs of your condo building. For instance, a 20-floor building will have very different waste diversion needs than that of a three-storey walk up. Same with those who live in a building with lots of land that needs maintenance versus those buildings in the downtown core without a lot of grass or trees that need cutting / pruning throughout the year. A great place for your condo board to start identifying the organic collection company that meets your needs, we recommend looking at Green Calgary. Here, they list who the companies are, along with the types of materials and pickup options. The City of Calgary is also offering a multitude of resources for boards to refer to when determining what green bin program will suit their condo best. And finally, composting, while very environmentally friendly (and eye-opening as to how much organic waste we do throw away), can be quite smelly. We recommend that your condo board source a composting contractor who will line the bins to help keep smells to a minimum. Rinse the green bins. Many contractors will take the time to rinse the bins after pick-up, helping to keep the smell at bay and lengthen the life of the green bin itself. Proper storage. Storage of the green bin is important. If the green bins need to be placed outside, make sure they’re stored in a shady spot, away from the sun to avoid accelerating decomposing smells. Layer scrap. With all kinds of materials allowed for composting – from liquids to dry items – you can help to lower the smell by adding a layer of dry compost, such as leaves, on top of wet compost. This will help absorb the liquid, while trapping the smell. Pick up schedule. Depending on the size of your building and time of year (think spring and fall for yard clean up), you may want to increase your pick up schedule if you notice that the bins fill up quickly or the smell becomes a bit too pungent too frequently. Green bins are meant to make our lives easier, and our environmental foot print smaller. This is a great program that won’t just benefit our buildings, but our entire city as well. If your building has started to implement its own waste diversion program, share your insights at Alberta Condo Owners for Change. For more information about the program itself, you can contact the City of Calgary at greencart@calgary.ca to have all your specific green bin questions answered.